Naples Zoo is ranked among the top zoos in the nation contributing to field conservation as a percentage of total budget. Just since 2015, Naples Zoo has contributed over one million dollars to programs to help animals in the wild. With a firm belief that what is best for people and wildlife is the same thing in the long run, Naples Zoo strives to support conservation efforts that reflect this mutual benefit. Naples Zoo's mission incorporates inspiring the conservation of our planet's wild areas and their wondrous inhabitants. For the wisest use of limited funds, Naples Zoo places priority on supporting proven conservation efforts within existing long-term programs regionally and internationally. Our staff sit on the boards of two non-governmental conservation organizations as well as serve on the Field Conservation Committee of the Association of Zoos and Aquariums . explore Conservation Actions You Can Take. 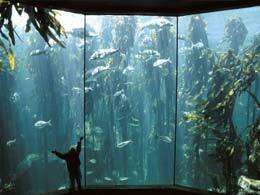 Want to do more for conservation? and all our efforts including ones like you see below. 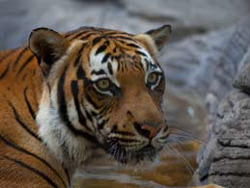 Naples Zoo funds the Tiger Conservation Campaign, a collaborative effort with the Species Survival Plan® and the Wildlife Conservation Society. WCS has a long history with tigers. Joe Walston, Director of Asia Programs for WCS, states, "The support that Naples Zoo is providing to WCS is greatly appreciated and is immensely useful. The funds were used by our WCS-Malaysia Program to help the Government of Malaysia put well-trained and well-equipped rangers on the ground to protect one of their last tiger populations." Naples Zoo also advocates for sustainable palm oil use to protect habitat and is a member of the Roundtable on Sustainable Palm Oil, the organization dedicated to making sustainable palm oil the norm. 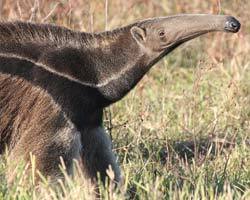 Already largely gone throughout Central America, giant anteaters face new challenges as roads crisscross their home ranges. Through the Zoo Conservation Outreach Group, Naples Zoo is supporting a four-year program entitled "Anteaters & Highways" to determine how to decrease these deadly encounters. Naples Zoo funds the salary of the project's head veterinarian and has also purchased GPS collars. Along with ongoing tracking on this species in the wilds of the Pantanal, this project focuses on the degraded Cerrado biome in Mato Grosso do Sul. Naples Zoo also hosts and designs the English and Portuguese language website for this effort at www.giantanteater.org. Zoo staff serve the greater Association of Zoos and Aquariums conservation community through committee service including Animal Welfare, Field Conservation, Business Operations, Public Relations, and Conservation Education as well as serving as studbook keepers, accreditation inspectors, and more. The Zoo also participates in Species Survival Plan® programs to care for rare animals in and outside the wild including species like the critically endangered slender-horned gazelles and cotton-top tamarins. In cooperation with the US Fish and Wildlife Service and the Florida Fish and Wildlife Conservation Commission, Naples Zoo is providing lifetime care for a female panther left behind at a den when she was just a few weeks old. The Zoo also created a facility to provide short term care for other injured or orphaned panthers. Along with providing daily education to visitors, Naples Zoo now hosts the Florida Panther Festival held in November each year. The Naples Zoo Conservation Fund helped establish a remote camera grid in Florida Panther National Wildlife Refuge to help in long-term monitoring and continues to fund the classification of the photos for ongoing research to determine best management practices. Naples Zoo also hosts a website where people can commit to driving the posted speeds in designated panther zones at www.panthercrossing.org and get a color panther crossing decal for vehicles. Naples Zoo's collaboration with Riptide Brewing Company in Naples contributes thousands of dollars a year to helping panthers and people coexist. Riptide custom brews two craft beers: Uno Ale and Athena Ale. Our sincerest thanks to Riptide their ongoing support. 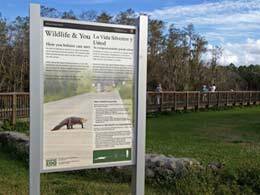 To help protect local species, Naples Zoo cooperated with staff at Big Cypress National Preserve to help design bilingual graphics that help visitors understand how to view wildlife safely while in this nationally protected area. 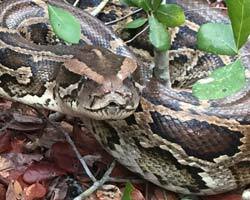 By keeping people safe as well as preventing animals from becoming nuisance animals, the local wildlife can stay wild. The Zoo funded the production of the graphics and framing that are now installed at welcome centers, viewing areas, and campgrounds in the Preserve. Naples Zoo staff also helped clear invasive plant species from a wildlife underpass and funded camera traps to monitor the wildife using this important corridor for panthers, bears, and other species. 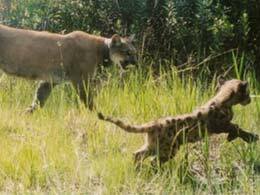 Naples Zoo and Big Cypress NP also collaborated to fund a short-format documentary about the Florida panther. 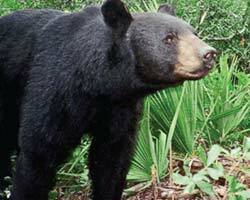 Naples Zoo staff participate in the Florida Fish and Wildlife Conservation Commission's South Bear Stakeholder Group with its mission to conserve the 1,150 bears in this part of Florida. As part of local conservation education efforts, Naples Zoo's Black Bear Hammock exhibit educates guests how to live with bears. The Zoo also collaborates with Collier County Public Schools on a live video link connecting over 3,000 local students to zoo and FWC biologists. Naples Zoo is the International Headquarters of the Madagascar Fauna & Flora Group. Naples Zoo is also a Managing Member and our Director of Conservation serves as the Chair.The MFG reintroduced black and white ruffed lemurs to the wild. The MFG cares for animals confiscated from the illegal wildlife trade, teaches sustainable agriculture practices, educates locals on conservation, and patrols and does research in a strict nature reserve. The MFG's Saturday School program has dramatically improved academic success. 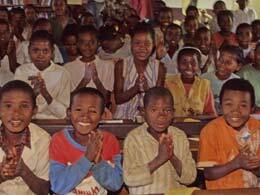 Naples Zoo provides numerous in-kind services and funds a Saturday School in a neighboring village. Enjoy the great music in this fun video. In collaboration with other natural partners, Naples Zoo staff have participated in planting native orchids in Florida protected areas on both the east and west coast to help establish healthy populations of rare species in the state. In addition, Naples Zoo is currently funding a collaborative effort coordinated through Atlanta Botanical Garden to secure several species of orchid that became extinct in the US, but still survive in Cuba. 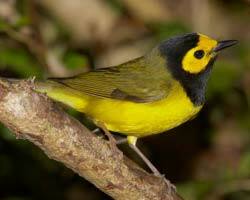 The goal is to cultivate and return these species so they can once again be seen in Florida. Even with legendary adaptability to live in harsh environments and in the shadow of urban areas, leopards have lost 75% of their historic range. Naples Zoo supports the field efforts of Panthera to secure populations of leopards as well as provide alternates to traditional fur use by local communities through their Furs for Life program (video). 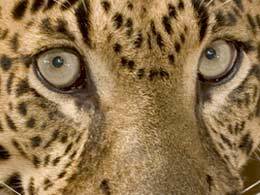 Stay up to date on the work of Panthera to help the world's big cats through their online newsletter. Even though Naples Zoo has not been home to elephants for decades, we advocate for their survival in the wild through the 96 Elephants campaign coordinated by Wildlife Conservation Society. 96 Elephants? 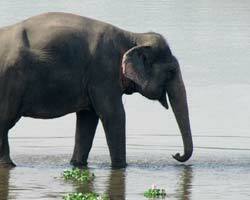 That's the number of elephants killed each day - one every fifteen minutes. You can help elephants by signing on to 96 Elephants and support ivory ban legislation to close loopholes that allow illegal ivory to be sold on US streets. As giraffe populations have plummeted 40% in the last fifteen years, Naples Zoo is a Conservation Partner of the Giraffe Conservation Foundation to promote initiatives that work collaboratively with local communities to develop a sustainable future for both people and wildlife. Naples Zoo also connects local students to GCF staff in Africa through live video conferences. 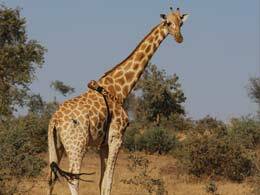 Get Involved: See how you can help rangers protect giraffe by donating a new or used handheld GPS. And remember to buy your SAVE THE GIRAFFES wristband at the Zoo to further help GCF. Our support for giraffes is greatly enhanced each year thanks to a collaboration between Naples Zoo and South Street in Naples for hosting Longnecks for Longnecks in celebration of World Giraffe Day. The thousands of dollars raised each year go to excellent use by Giraffe Conservation Foundation. Thank you South Street! Naples Zoo supports protection of tropical habitats by promoting sustainable palm oil. This popular oil is used in many products we have in our homes from snacks to cosmetics. 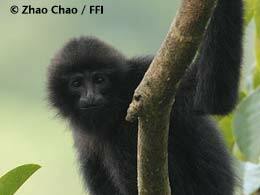 Use the free app to allow gibbons, rhinos, tigers, orangutans, and more continue to have forest homes. Naples Zoo is a member of the Roundtable on Sustainable Palm Oil, the organization dedicated to making sustainable palm oil the norm. Disappearing in Plain Sight: While still readily seen in National Parks, lions have lost more than 80% of their historic range. 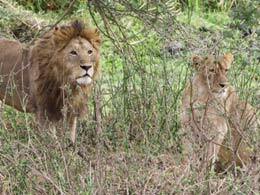 Naples Zoo supports the Ruaha Carnivore Project through the African Wildlife Foundation. Over 10% of Africa's lions live here face some of the highest rates of human-lion conflict. Using a number of tools including reinforcing traditional livestock enclosures, educating local people, and partnering with Lion Guardians, their efforts have decreased the number of lions killed by 80% in their core research area. Your morning cup of coffee can be a powerful tool to help migratory birds and many other tropical species from spider monkeys to sloths. Many coffee farms clear-cut their trees to raise coffee in full sun to grow beans faster, but it's a sacrifice for people, wildlife, and coffee quality. The alternative is "shade-grown" coffee and the gold standard is the Smithsonian Migratory Bird Center's "Bird Friendly" certification. You can try some at Wynn's at the Zoo and you can buy a bag at Whole Foods Market®. Learn more about supporting conservation with every cup. 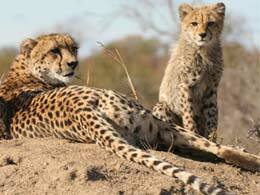 Having lost 90% of their population since 1900, the fastest land mammal can't outrun its threats on its own. Naples Zoo supports the African People and Wildlife Fund including the training, outfitting and daily activities of village game scout teams to conduct anti-poaching operations. They also provide annual study tours to Tarangire National Park where students view cheetahs in a non-confrontational setting, and much more. 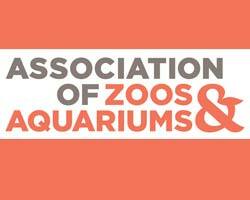 In order to assist our zoo and aquarium colleagues in Africa achieve their conservation and education missions in their countries, Naples Zoo is a patron supporter of the Pan-African Association of Zoos and Aquaria (PAAZA) They have 70 members in 12 countries. 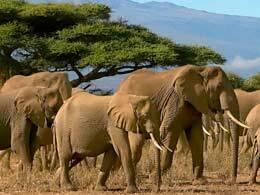 We also fund an African mentor who visits zoos and helps them improve their animal care and conservation mission. PAAZA sees one of the primary functions of zoos and aquariums as healing the relationship between man, animal and their mutual environment. Working with another non-governmental organization, Naples Zoo has helped plant over half a million trees since 2009. We support a comprehensive approach whereby farmers and other community stakeholders can help to restore natural resources, decrease hunger, and create income. 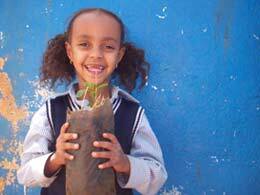 By planting millions of trees in the Forest Garden model, the combined activities of these local communities are also solving a larger global challenges such as climate change, food insecurity, rural-to-urban migration and the effects of natural disasters. 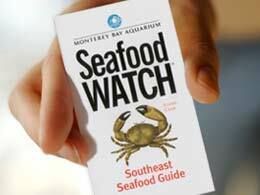 Naples Zoo is a Seafood Watch Conservation Outreach Partner distributing free Seafood Watch cards to help consumers identify the best fish to eat for healthy fish and healthy oceans. Watch the video and download the free Seafood Watch app. 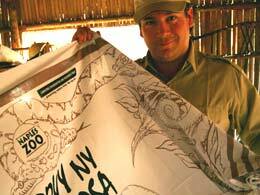 And to help fishermen in Madagascar know which fish species in the river are endangered and should be returned to the water and not placed into the cooking pot, Naples Zoo helped fund an educational poster that was distributed on the island. Naples Zoo is a member of the Zoo Conservation Outreach Group with staff serving on the board. 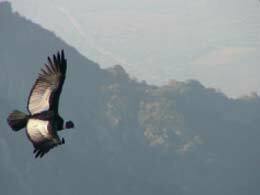 This nonprofit coalition is dedicated to promoting wildlife and habitat conservation throughout the Americas by developing conservation leadership capacity in Latin American zoological institutions. ZCOG provides numerous scholarships to Latin American colleagues in the zoo community to receive training in the United States which they can share back at their home institutions. Naples Zoo fully funds the Caribbean Conservation Training Scholarship. With a firm belief that what is best for people and wildlife is the same thing in the long run, Naples Zoo strives to support conservation efforts that reflect this mutual benefit. Naples Zoo's mission incorporates inspiring the conservation of our planet's wild areas and their wondrous inhabitants. For the wisest use of limited funds, Naples Zoo places priority on supporting proven conservation efforts within existing long-term programs regionally and internationally. 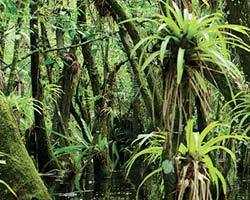 Want to do more for conservation? Learn about supporting Naples Zoo and all our conservation and education efforts including ones like you see above.